Finding the space to Batt Up a quilt is often very tricky; with this in mind we are offering an assisted Batting Up service. Using the 505 spray adhesive method, we will help you to Batt Up your quilt, be it Baby or King size. This service will be available at pre booked times, on the morning of our Crafternoon’s, which are held on the last Wednesday of the month. 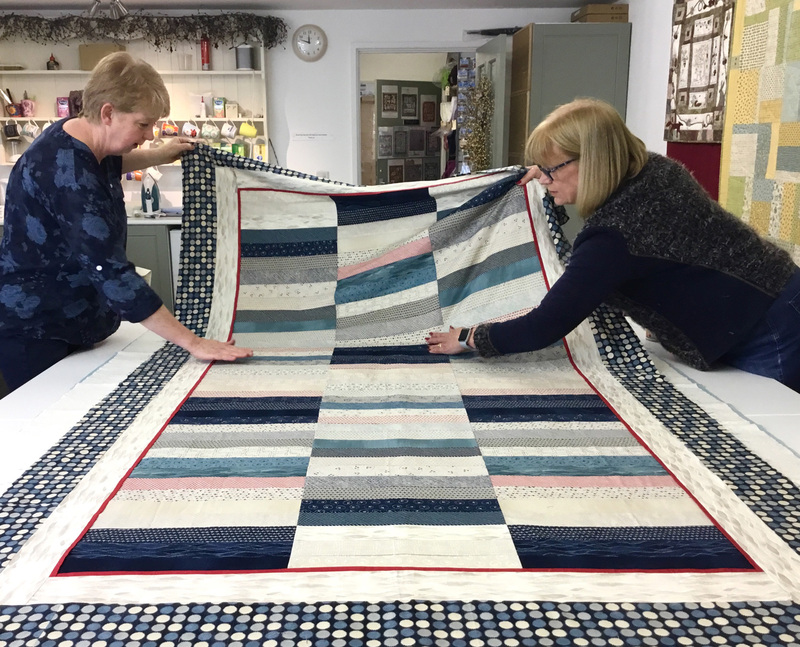 The cost per quilt will be: £5.00 per Baby Quilt, £10.00 per Single Quilt, £20.00 per Double Quilt, or £25.00 per king size. 505 adhesive spray is available to purchase in store. Prices for Batting Up using the tacking or basting pins method are available on application.